It was the night of Christmas, and the light of the tree showed quite brightly. Its warm glow cast throughout the room in it gentle radiating beams. 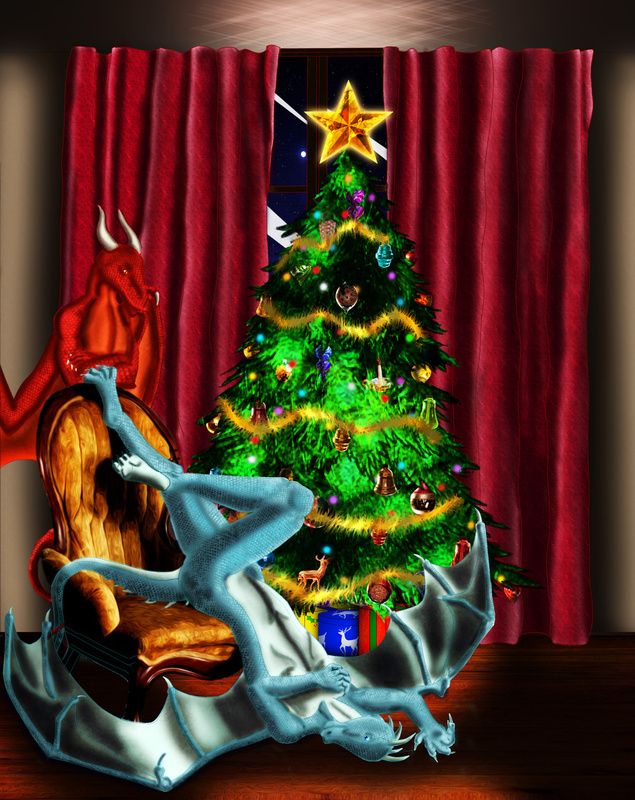 An their lay next to the tree a curious looking dragoness Laying in beautiful display for her mate. With eyes of dimaonds and a smile so warming, she just looked to the distance, as if not a care in the world, but quite aware she was. She was i fewer words giving herslf to him If it were for but any other reason one would have thought this was their first Holiday Season together, but the true knowledge of as to why she had made herserlf so inviting, is not known, what is known, is that her mate, likes what he sees. Sure this may be selfish, but is also the ultimate show of love and generosity for one another, for one to so wilingly surrender themselves. For it is only in that instance in togetherness and with tranquil subtlies that we find ourselves. This art is for Friends on FA.